Your customers may shed and bark really loudly. The cats can be kind of standoffish. Fleas are an occupational hazard. But many people still love working in the pet industry. Even in a sluggish economy, the pet industry is standing on all four legs. Last year, two-thirds of American households spent north of $50 billion on their pets, mostly on dogs. That's a comfortable number to consider if you're thinking of taking your next career into the animal kingdom. Pet owners are consumers with serious purchasing power and unique habits, and they represent a compelling market for many businesses. But if it isn't practical to get your veterinary or zoology degree, don't worry. There are plenty of other career avenues for working with pets. Here are five second-act careerists who talk about how they got started in the pet business. 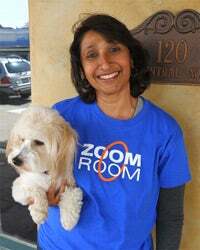 Ratna Anagol, 45, Monterey Bay, Calif.
What she does: Owner of the Zoom Room, a dog agility center. Bio: Anagol spent her 20s, 30s and early 40s climbing the corporate ladder until she was a top-level executive at McGraw Hill. But when the recession got ugly, the company sought to downsize. Anagol says she probably could have hung onto her position, but with young kids and recovering from breast cancer, she decided to take a buyout. How she got started: Anagol fell in love with the new family dog and started agility training. That triggered an impulse to buy a dog agility training center in 2011. Perks of the job: Anagol says that working with pet owners is particularly fun because they, like her, really love their animals. Her customers aren't just buying a squeaky toy hoping to shut up a yapping dog. They are looking to spend serious bonding time with their pet. "They want to have a relationship with a dog that's more than superficial," Anagol says. Not so fun: "I was bitten by a German Shepherd early on and ended up in the ER." Advice: Enjoying animals is important, but you have to appreciate profit margins and inventory, as well. "If you aren't interested in the business, you need to hire someone who can support you in that aspect," Anagol says. "You're not going to be successful on passion alone." What she does: Grooms dogs and cats and runs a mobile business, Fido to Go, which motors around Chicago selling gourmet cookies and ice cream made especially for dogs. Bio: Santucci was an accountant who enjoyed her work, but "it wasn't tangible, and I felt like I needed a change, something different." She enjoyed spending time with her mutt, Maddie, and their relationship made her think about a new career direction. "I felt like why not give something back to these animals," Santucci says. 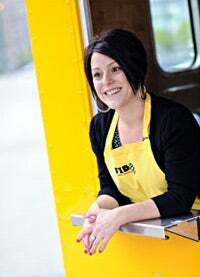 How she got started: Santucci enrolled in grooming school to become a certified groomer and later expanded to operate a mobile doggie food truck business during spring, summer and fall. Her clients aren't exactly up for doggie ice cream during Chicago winters. Perks of the job: Santucci says she loves meeting her customers, regulars and new, because they're as passionate about dogs as she is. "Doing something that is so much fun makes work more of a hobby than a job," she says. Not so fun: The government part of any business. "All the fees, rules and regulations that the federal, state and city require," Santucci says. "It doesn't make it easy for a small business to grow and hire people." Advice: There's a difference between owning a pet and having to work with a multitude of them all day. If you're going to work with animals, especially in a hands-on way like dog grooming, you need a lot of patience, Santucci says. Mike Canning, 51, Washington, D.C.
What he does: Runs a pet industry association. 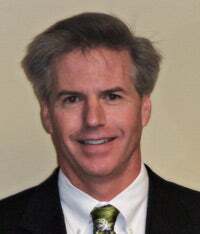 Bio: After more than 20 years working for trade associations, nonprofits and law firms, Canning thought he had found his niche as the executive director for a trade association that represented credit unions. And then: "When the banking crisis hit, credit unions couldn't support a trade association," says Canning, who was laid off in 2009. Divorced and the father of two children, he spent 18 months looking for work until he landed in the pet business. How he got started: Canning is now president of the D.C.-based Pet Industry Joint Advisory Council, which raises the standards of breeding in the pet industry. While running a trade association wasn't a leap, mastering completely new subject matter was. Canning had to bone up on obscure topics such as Batrachochytrium dendrobatidis, a fungal pathogen that affects amphibians, and thus the pet frog market. Perks of the job: "Before, I used to be locked in an office," Canning says. "Now I go out to dog breeder conferences, reptile shows and trade shows where I get a lot of contact with animals, something I really like." And his kids are actually interested to hear about his day at work. Not so fun: "There are certain dog breeders who believe government shouldn't be involved at all with their business. They'll call and cuss me out." Advice: "It takes effort and time," Canning says of learning the ins and outs of a breed -- or multiple breeds. "But most people in the country have the capacity to learn new things. It just takes time and patience." 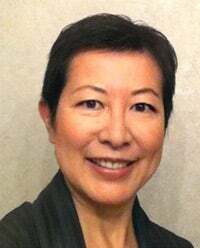 Teresa Matsui Sanders, 52, St. Paul, Minn.
What she does: Founder of Dog Wonderful.com, which offers information on dog-friendly hotels and helps people plan dog-friendly vacations. Bio: Sanders and her husband, Ken, owned and operated 21 hotels throughout America, but as the recession started, many investors wanted out. Then, after being diagnosed with breast cancer in 2008, she wanted out, too. How she got started: Chemotherapy worked wonders; Sanders says she is cured. During her recovery, she brainstormed, wondering what she would do next for a career. Like many good ideas, this one came in the shower, the day after her 17-year-old dog, Kendall, died. "It just flashed before me -- create a website about traveling with your dog, a website that would incorporate a booking engine that allowed you to book dog-friendly hotels online." Like many entrepreneurs, she took her existing talents to the pet industry. "It's not like I was a welder who decided to start a dog-friendly travel site," Sanders says. In October 2011, she launched DogWonderful.com. Perks of the job: Research trips. At Christmas, Sanders, her husband and their new dog, Gunner, a standard poodle, took a 4,200-mile road trip, driving to Palm Springs, Calif., and back to St. Paul, Minn. "Obviously, we stayed at dog-friendly hotels and went to dog-friendly restaurants," she says. Not so fun: The pet industry is a very competitive business -- even in the pet travel niche. "I'm competing against some established websites," Sanders says, "but I feel like I provide unique value to readers." Advice: "You need to have financial resources," Sanders says. (Her business isn't yet profitable.) "Don't underestimate what it will cost to fund your startup. It's not like I'm spending a million dollars a year or anything close to that, but you can't just open your business, sit back and wait for customers to come to you. You've got to be figuring out what you can do with the resources you have to generate as much ongoing business as you can, day in and day out." Paul and Deborah Quinn, both 58, Trenton, N.J.
What they do: Dog sitting, walking and animal care. Bio: After Deborah Quinn was laid off as a graphic artist in 2008, her husband, Paul, said not to worry. They'd do just fine with his job in sales in the rock-solid housing market. 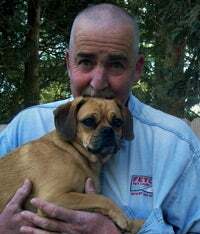 How they got started: Three months later, after Paul was laid off, the two began thinking that perhaps they should start their own pet sitting and walking business. "We used to do it for free for friends and family, just because we enjoyed it," Paul Quinn says. The Quinns considered going into business on their own, but they liked the idea of attaching themselves to a brand and wound up franchising. They spent about $20,000 on Fetch! Pet Care, a business they operate out of their home. They walk dogs, clean cat litter, give animals medicine and do other pet-related tasks for clientele and have turned half of their home into a kennel. Perks of the job: The couple is with animals all the time. "We love the company of dogs," Paul Quinn says. "It's good for our blood pressure, our psyche -- every bit of it is fun." Not so fun: Because pet services can be demanding, "you may have to figure out a way to not take days off. If you aren't available on Sunday, or Easter, or Christmas, those people will go another way, and you won't hear from them again." Advice: Paul Quinn circles back to the demands of the profession. "The answer to customers is always 'yes,' even if we don't know how to provide the service," Paul says. "We say 'yes,' and then we figure it out." SecondAct contributor Geoff Williams is a freelance journalist based in Ohio, and the author of several books, including C.C. Pyle's Amazing Foot Race: The True Story of the 1928 Coast-to-Coast Run Across America.